A legacy is something that every­one wants or accepts gladly. It’s a bequest, an inheritance, an endowment or gift from the past. Martin Luther left the world a legacy that we shouldn’t forget, a valuable gift that has changed the world. It has a number of aspects. 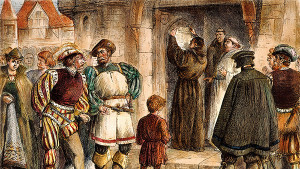 Many are the stories of how Martin Luther, in his pre Reformation days, was plagued by doubts as to how a righteous God could pardon him and forgive his sins. He performed penances, self-flagellations, fasts—anything to distract his mind from his sinful situation. Finally, while he was in Rome ascending the steps of the Pilate’s Staircase on his knees, the thought struck him like a thunderbolt: “The just shall live by faith” (Romans 1:17, KJV; Habakkuk 2:4). For the first time he realised that God makes us right with Himself by His grace, and we just need to understand and believe. It doesn’t require costly gifts; it doesn’t require penances and bodily discomforts or privations. If we just believe in Jesus, then God accepts us as His children. We then want to live as His children. This great understanding that came to Luther became the great catchcry of the Reformation—sola fide—by faith alone (see Jan-Feb 2017 Signs of the Times). This is perhaps the greatest legacy of Luther—his understanding of how men and women are made right with God and freed from guilt. If we had to pay for our own sins, even the richest millionaire wouldn’t have enough money to cover the cost. Paying for our sins by good deeds or denying ourselves of some pleasure likewise would not be enough. Jesus demonstrated this in His story of the man who owed his master 10,000 talents (Matthew 18). Someone has computed that amount as 350 tonnes of gold! The parable teaches us that the Master, who represents God, freely forgave “the unforgiving debtor.” Unfortunately, after he was forgiven, he refused to extend the same compassion and forgiveness to someone who owed him only a small amount. We may say, as did the unforgiving debtor to his Master, “Give me time and I’ll pay it all,” but the task would take forever. Indeed, it would be impossible. Yet God freely forgives us if we accept His grace. Just believe, and you are then encouraged to treat others the same way. We know of Jesus through the Bible; its messages always centre on Him. In fact, He’s shown in Revelation He is named “the Word of God” (19:13). The Bible is above and beyond any commentary, any sermon or book or announcement by any person. Its words are inspired. The apostle Paul, in writing to the young minister Timothy, his protégé, reminded him that “all Scripture is God-breathed,” that is, inspired (2 Timothy 3:16). Martin Luther valued the Bible so much. Among his foremost contributions to the world was its translation into the German language. Any person who studies it, seeking, will find salvation. Today the Bible still stands as the foundation of all belief; of salvation; and of a knowledge of Jesus— His great love, and the promise of His return. Martin Luther and the Reformers of his time made this one of the great solas: sola Scriptura, that is, only through Scripture. We too must never forget that we take our beliefs from the Bible. It is to be our only guidebook to heaven. It truly is sola Scriptura! "A number of writers have said that Protestantism over recent decades has lost its protest!" Let’s consider some other things that we take for granted today but which Luther left us, his legacy to the Christian church. Prior to Luther’s time, congregational singing was not part of worship in churches. Monks chanted, but the worshippers in church didn’t join them in their singing. 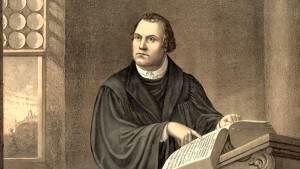 Luther made it a practice both within his own family worship and in congregations to use music and singing, in the fashion of the psalms, as integral parts of individual and collective praise. Luther played the lute and led out in the singing. He was also a hymn writer. He saw hymns as a way to fix Bible truth in the minds of the worshippers. Many older Christians will be familiar with his great hymn, “A Mighty Fortress Is Our God.” The Christian church today can thank Martin Luther for this aspect of his activity. Luther also reinstated women to the status that God originally intended them to have. First, in opposition to his original priestly vows, he believed in marriage, and just a few years after nailing his 95 Theses to the church door in Wittenberg, he married Katharina von Bora, a former nun. Where the Bible has been the foundation of government and society, the status of women is elevated, and Luther was behind this. Luther is also an example of standing firm for truth and principle. Perhaps the most famous example of this is his historic stand before the Catholic Church and the Holy Roman Emperor Charles V during his trial in the city of Worms. When asked repeatedly to recant from all his published beliefs, he stood alone, no-one standing with him. His words, “I cannot and will not recant anything, since it is neither safe nor right to go against conscience. May God help me. . . ,” remind us of the importance of being true to our principles. So we stand for what we believe to be right. We stand firmly by the Bible. Yet while the Teutonic Luther is viewed as hard and unyielding, he also displayed compassion when that was needed. His doctoral degree was conferred on him by Andreas Karlstadt when he studied at the University of Wittenberg. A number of years later, during the Peasants’ War, Karlstadt sided with the peasants while Luther sided with the German princes. Karlstadt was seen as an enemy of order and had to flee for his life. Needing a place to stay, he appealed to Luther for help, and Luther allowed him to stay in his home for some months. In Luther’s time, theological opponents often used very derogatory phrases to describe their opponents. Reading the accounts of that age today makes us shudder a little. We attempt to be more civil and try to understand the viewpoints of others. Unfortunately, amongst some churches with roots in the Reformation, this has also led to a weakening of the positions that Luther took. A number of writers have said that Protestantism over recent decades has lost its protest! Among the secular population, religious belief always seems to be less important. Where the church was once always the centre of community life, these days it’s relegated to the backwaters of influence. Today there’s an emphasis on the need for unity in the church; similarities of belief are overemphasised while important points of difference are ignored or rationalised away. Some will point to Jesus’ prayer in John 17:20, 21 “that all of them may be one” as the basis for unity of all the Christian churches. 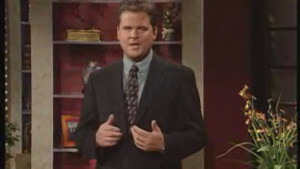 But differing beliefs, even when Bible-based, are disregarded in the rush to rehabilitate long-lost relationships. However we must also remember that Jesus said, “I am the way and the truth and the life” (John 14:6). Truth is important. While unity is a great goal, we must not forget the legacy of Martin Luther that we take our stand on the side of our beliefs. Luther, in his great speech in Worms, said that his conscience was bound by the Word of God. This was the reason why he made his stand. Everyone’s conscience must be respected. We may talk and pray together, but remember that God does not coerce or force our love or our obedience. He doesn’t make ultimatums. The old adage is still true that a man convinced against his will is of the same opinion still! Considering the story of Martin Luther and his great accomplishments, we should never forget the legacy he has left us. We always try to remember the great feats of our soldiers who stood for their country on the field of battle. Let us do the same with one who was really the man of the millennium: Martin Luther, a servant of God. His legacy is well worth remembering! A look at 12 years of music from The Fray. Signs associate editor Melody Tan, recently returned from maternity leave, shares her experience as a first-time mum. And it may sound familiar. The disasters and diseases plaguing our world are devastating, yet far from surprising. Many people have a love-hate relationship with pasta because they fear they’ll gain weight. However, the problem isn’t the pasta but how it’s cooked, the portion size and the toppings we use in Western countries. While our smartphones might be convenient, Scott Wegener warns that we need to be aware of the potential problems they can create in our lives, if we aren’t careful.